You have likely heard the phrase, “There’s no such things as a dumb question.” That’s certainly the way we feel at Ella Health. We want you to ask questions. We want you to know as much as possible about your health and the best way to take care of it. Our big concern is about the questions that don’t get asked. Either women think they know the answer or they’re afraid to hear it. As a result, they avoid getting a breast cancer screening exam that could save their life. So ask all the questions you want and encourage your friends to ask too. Here are a few of the most common questions we hear. A mammogram shouldn’t be painful. Some women may experience a brief moment of discomfort but at Ella Health, techs explain what is happening and keep a close watch on your experience. They use also use a soft blanket on the machine to make it more comfortable. If you are nervous or have had a bad experience, let the tech know so she can make sure things go smoothly. If I am not having health problems why should I come in every year? 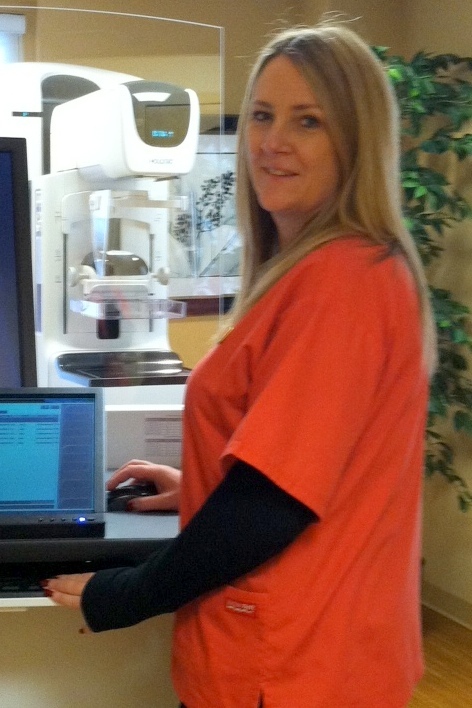 Mammograms help detect cancer long before there are any symptoms. This test can reveal a lump up to three years before it grows large enough to be felt. Also, having the screenings helps your doctor see if there have been any changes. If there is no history of breast cancer in my family, am I at risk? Certain kinds of breast cancer are genetic, however most breast cancers occur in women with no history of breast cancer in their family. Will radiation from mammograms create a health problem? There are strict federal guidelines to ensure that mammogram equipment is safe and uses the lowest dose of radiation possible. During a mammogram, a patient is exposed to roughly the same amount of radiation as a traveler on a commercial flight from New York to California, according to the American Cancer Society. Don’t mammograms create a lot of false alarms? Occasionally, a patient may be asked to return for more testing that shows there is no cancer. The number of these false positives has been reduced with the introduction several years ago of digital mammograms. The number is dropping even further because of advanced 3D imaging available at Ella Health. This system takes multiple images that give doctors a clearer picture of the breast. This has helped increase the number of cancers detected and reduced the number of false alarms. How long does it take to get a mammogram? The exam itself takes just a few minutes and we manage the schedule so you won’t be kept waiting long. How far ahead of time do I need to make an appointment? At Ella Health, you can get an appointment within days and sometimes on the same day as you call. You can set up the appointment months in advance if it’s easier for you, but you don’t have to. Keep in mind that mammograms don’t prevent breast cancer, but they are the best technology available to detect cancer in its earliest stages, when it is most treatable. The American Cancer Society recommends getting an annual mammogram starting at age 40. This article was really helpful! Thank you!